Reserve your spot in the Sponsorship Program today! Download Form: Sponsorship Program_2019 Questions? 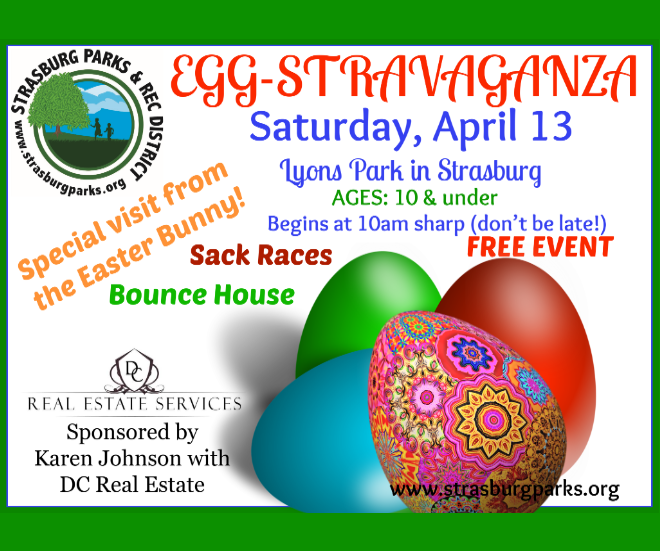 Call 303-622-4260, or email jessica@strasburgparks.org. Strasburg Parks & Recreation District (SMPRD) is devoted to providing the highest quality playing facilities and opportunities for our residents. You can help keep fees as low as possible by participating in the Business Sponsorship Program. Sponsorships are accepted on a first-come, first-served basis and placement is based on availability. Payment is due with your agreement. Thank you again for your support! We look forward to assisting you in GROWING and ADVERTISING your business. Includes the production and display of your full-color banner for a time period of four (4) years. After that, you will have the option of renewing at the current rates (which are subject to change). Should the banner be damaged during the four years, to the point where it is no longer in a condition to display, it will be your responsibility to replace at current banner cost. Please indicate what field you would like your banner displayed. Placement is subject to availability. $350 for one (1) field; $450 for two (2) fields; $550 for three (3) fields.